Our Raw Premium 3 Color Blend Maca Root Powder is carefully and consciously grown, processed and handled. It comes from an organic farming cooperative in and around Junin, Peru. We work only with producers who own and manage their lands at a local grass roots level. The cooperative of farmers is committed both to organic farming and to producing the highest quality Maca products available anywhere. We're very happy to support their work. 1 kg double lined sealed foil pouch contains 111 individual servings at 3 t (9g) each. About a 4 month supply for one person. With a blend of about 40% yellow, 30% Red and 30% Black Maca roots, Raw Premium Heritage Harvest Maca is the same product as our previous “Raw Premium Maca” Heritage Harvest Maca and a great way to get benefits of all 3 colors. 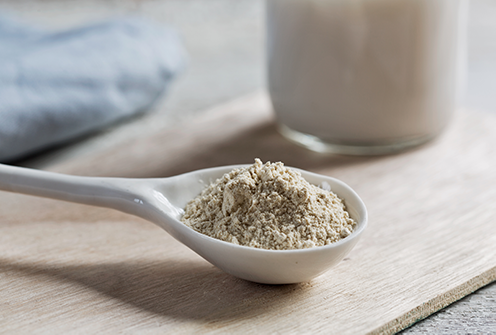 This is a great all-purpose Maca for both Men and Women – especially since it contains a combination of the different root colors and is a higher potency product. Please note that results may vary from person to person. You will receive a tracking number as soon as your order is shipped out - usually within 1 business day. (Complete shipping and return policy). Maca is for our health. Best Natural Product Ever Used! I love your Maca Black Raw Powder! I have been a bodybuilder for over 40 years and love the boost in my testosterone. I am 70 years old and feel like I'm 40 years younger. It has also improved my virility, in the bedroom, 150%. I had to back off from the recommended three scoops, to one scoop, for my 200 lb. frame, because it was too much for me. Have been using for over a month and i havent had any issues but the opposite. Flavour wise, like all Maca, not so good, but i suggest to use flavor enchancers like cinnamon. What i do is, i add it in my chocolate icecream. And its GREAT. Even after adding 3 teaspoons the flavor is just fine and the shake is enjoyable. 3 scoops chocolate icecream , low sugar preferably. I take 24 products from five to six times a week to increase my well-being and sensual and sexual delights. ;D The Maca Team organic maca is one of them—nine grams in my smoothie, Monday to Saturday. I am a first time Maca Root user.. I heard about it through a friend who told me about the great things it does for menopausal women and libido. The only thing that I find hard is the taste. I am not a fan at all. I take about 1 TBL full with a shake and that is all I can taste. I am 5'2" at 186 pounds, is that enough or too much powder? I struggled with the taste so much until I received the email from Maca with tips one of which said cinnamon helps. Adding cinnamon to my milk and maca mixture made a huge difference with the taste. Also I started with 2teaspoons based on the recommendations for my weight. It gave me such a bad loose stool. Now I have cut back to barely 1teaspoon and my stomach handles it perfectly. I notice more stamina, vitality and focus after the first time dosing on it.